Kids who eat better perform better in school, a new study of Nova Scotia fifth-graders confirms. A healthy diet or balanced diet is a diet (what you eat) that contains the right amounts of all the food substances. It includes fruit, vegetables, grains, dairy products, and protein. It does not include too much or too little of any kind of food. According to a new study kids who eat better perform better in school. 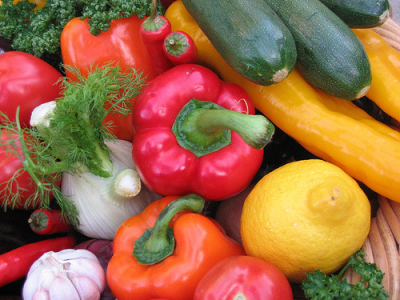 Fresh vegetables are common in a healthy diet. Students who ate an adequate amount of fruit, vegetables, protein, fiber and other components of a healthy diet were significantly less likely to fail a literacy test, Dr. Paul J. Veugelers of the University of Alberta in Edmonton and colleagues found. Vitamins Could Be Doing More Harm Than Good? These days healthy and diet for kids is very important because the right kind of diet will help them grow and perform better in what ever they do. Next Next post: Vitamins Could Be Doing More Harm Than Good?